Join Peter & Sue for a yin yoga Teacher training at their home & retreat centre deep in the heart of Portugal. A 100 hour intensive which is suitable for fully preparing yoga teachers & therapists to teach yin yoga and for those feeling ready to fully immerse themselves in their inner worlds. The course will take place over 10 full days and will be accompanied by a comprehensive yin yoga manual. “ Tell Me & I forget, Teach Me & I remember, Involve Me & I learn” - Chinese proverb . A unique approach to Yin Teacher training that mirrors the general ethos of our community retreat experience. In addition to benefiting from our extensive knowledge in the different facets of the world of Yin, you will be invited to contribute what you know, to share your unique skills, to question, to experiment & to deliver micro classes early on in the training (if you wish to teach). Some of the training will be theoretical but as much as is practicable will be interactive & key concepts will be delivered with simplicity & repetition so that you will fully embody the teachings & leave feeling fully confident to develop yourself practice & professionally & safely deliver to your particular client group. You will discover the appropriate approach to Yin yoga for you as a unique individual and your particular student cohort. Evolutionary Yin Yoga explores the different approaches to Yin, taking a deeper look into the different dimensions of the body mind organism, looking at Yin from its connection to the astrological influences of the Heavens, its Shamanic roots in Mother Earth, from the different directions of the Medicine wheel & its application of & integration with other energy medicine & so much more. Sue has lived in Portugal for 11 years & is originally from the UK .She is a Yoga Alliance Senior Teacher. Her yoga journey started in 2000 on a work trip to Singapore where she undertook a yoga class in the hotel just because it was free. The teacher told her she had never seen anyone with so much tension in their body, Sue has spent the past 19 years on the journey of gradually unraveling & learning to let go. Sue has been teaching yoga since 2006 having Trained in Dynamic Yoga, Hatha yoga & Yoga for Pregnancy. She also participated in a 500 hour Yoga Therapy Training with an emphasis on mental health. Sue has been regularly teaching Yin Yoga classes and workshops for 7 years here at the retreat centre. She has undertaken in depth trainings with Sarah Powers & Paul Grilley & has studied the work of other prominent Yin Toga teachers including Bernie Clarke & Norman Blair. Sue has also almost finished 4 years of study in shamanic Homeopathy & through that and dedicated self study has extensive knowledge of & experience in the enhancement of the Organs of the body & working with the energy body including Meridians, Vessels & Acupressure points. Sue has also completed Medical Qigong training at Tao Gardens in Thailand. When Sue came to yoga almost 19 years ago she had a multitude of health problems & her journey has been & continues to be a profound healing journey, she knows the incredible power of these practices and generously shares her knowledge with others to assist them on their own individual journeys. Peter has been immersed in Eastern practices since he was 7 years old when he began learning many different styles of martial arts. He began teaching at the young age of 14 back in his home town Liverpool. He eventually found the holistic spiritual path of Ninjitsu learning the theory and philosophy of balancing Yin & Yang. He has trained in and also practices the ancient teachings of the Shamanistic Medicine Wheel knowing well the powerful healing capabilities of this approach. He is a Yoga Alliance Senior Yoga Teacher having trained in Ashtanga & Hatha yoga as well as a QiGong practitioner and teacher and has been teaching in Portugal for over 11 years. He has trained with many teachers over the years but really connects with the work of Dr Yang, Jwing-Ming, Hiroshi Motoyama, Leo Rutherford and Steven Forest. He has also trained in Yin with Sara Powers and is a fully qualified mindfulness teacher. Peter is also an Evolutionary Astrologer, he interprets birth charts in a way that assists personal growth & development looking through the lens of the ever evolving soul journey. Peter also studies fascia in great detail & poignantly brings its relevance to life in class, he especially follows the work of Thomas Myers, Dr Carla Stecco and Dr Robert Schleip. Peter has also completed Medical Qigong training at Tao Gardens in Thailand. Julianna is a holistic Massage Therapist & Traditional Chinese Medicine Practitioner with over 30 years body work experience who will assist with some energetic aspects of the course, hold workshops to demonstrate some additional techniques for Myofacial release such as using tennis balls & cupping and simple massage techniques which can be incorporated into a yin yoga class. She will also provide additional diagnostic & energy balancing one-on-one sessions with students on the course. Yin yoga is the gentle& relaxed application of tension and / or compression to different areas of the body which gradually induces a healthy phase change in the tissues. It is characterized by long, muscularly unengaged static holds, using mainly floor based postures which trigger muscle relaxation and myofascial release. It provides an opportunity to engage with the breath to a deeper level & to develop a meditative mind state in yoga. It focuses on exploring & strengthening the interconnections of different layers of the mind body organism including the physical, mental, emotional, and energetic dimensions of the body and its systems. Yin Yoga quite simply draws us in to our inner landscape, the microcosm within yin yoga is a practice that gives you time to really listen to your body so that you can understand its emotional language. In a world that is geared toward doing, competing & achieving Yin yoga provides the perfect antidote, its essence is simply being. Yoga teachers, Body Workers such as Physiotherapists, Massage Therapists & Chiropractors, Psychotherapists, Psychiatrists & Psychologists wanting to explore the Mind Body Connection. Reiki practitioners, Fitness &Healthcare Professionals, Anyone with an interest in deepening their Yin Yoga practice. Welcome Pack including Comprehensive Training manual, Personal astrological Chart & Individualized flower & homeopathic remedies. - Practical understanding & breakdown of the full repertoire of yin Asanas from Physical, Functional & Energetic perspectives, their purpose, benefits & any contraindications. - The Art of Teaching Yin Yoga including Safety, Intelligent Sequencing, Class Length, Teaching both groups & 1-2-1, Methodology, Ways of communicating, Responsibilities, Ethics , Boundaries, Holding Space, creating more advanced Yin postures, Transition poses, Taking Students deeper into the Yin scape. - An Understanding of The vessels & energy storage centres of the body from the Qigong perspective & how to use breath work & movements to generate abundant energy. - An over view of TCM -Traditional Chinese Medicine, how it relates to Yin practice and a solid grounding in 5 Element Theory. - An opportunity to deeply Learn the pathways of the Yin & Yang Primary Organ Meridians of the body, their relationship to the organs & how they can be stimulated & regulated with a yin practice. - Yin & the Art of storytelling & poetry including Japanese Haiku, Daoist, Buddhist, Yogic & Shamanic philosophy, Mythology & Wisdom Speak to understand the human condition & draw us back to the time of the GREAT PEACE. - An introduction to merging Yin, homeopathy & Shamanistic practices focusing on organ healing. - Sacred Shamanic Practices including Medicine wheel & drum journeys set within the magical Quartz crystal landscape of Bacelo. - The art of basic Mindfulness Meditation incorporated in Yin practice from the physical & energetic perspectives. - Yin Anatomy looking at bio individuality & skeletal variations and how they influence our personal range of movement. - Yin Anatomy using interactive learning to develop a practical understanding of the muscular system & how to physically & energetically target areas. - Understanding the fascinating fascial web of the body and the role of tensegrity through the fascial lines. - Learn How fascia works to heal and support posture& it’s far reaching implications. - A thorough understanding of fascinating Fascial Anatomy & physiology, the far reaching implications of fascia on the body and the location of the superficial fascial train lines & belts of tension & how to influence them in Yin Yoga Postures. - An interactive understanding of the Fascia through Qigong Practices. - A practical introduction to Myofacial release in a series of workshops. Recognize the qualities of inter-connective tissues & learn how to feel into & manipulate fascia. Learn some simple but effective Myofascial release adjustments which are appropriate to incorporate in yin yoga classes. - Yin Physiology, an in depth look at the Autonomic nervous system and how yin yoga can help regulate it. - An understanding of the chakras & how they can be integrated into a yin yoga class. - A comprehensive history of yin yoga & the Astrological significance of its current revival. - An overview & integration of Buddhist, Yogic, Daoist & Shamanistic Philosophies as applicable to yin. - A minimum of 3 hours a day of Yin yoga classes suitable for beginners & more advanced practitioners. - Art of teaching & Practicing Yin yoga, adapted to your Astrological Profile, passions and personality. - An Inspirational learning environment with plenty of time & space to rest, digest & consolidate your learning. - The safe Use of scent including herbs, woods & aromatherapy during Yin yoga sessions to help cleanse the space, gently arouse the emotional body& integrate the mind, body & spirit. - Exploration & Integrating a wide range of Pranayama & Daoist Energetic breathing practices into Yin Practice - including Anapanasati (Breath Awareness), Lower Dantien Breathing, Whole Body Breathing, Three Part Breath, Soul Breath, Psychic Alternate Nostril breathing, Reversing The Vayus, Micro Cosmic Orbiting, Embryonic Breathing & Biodynamic Breath work. Giving you the ability to harness & direct energy and activate the organs of the body for better health, wellness & functionality. - The Mind - Body connection -Understand Trauma & how it impacts & is stored in the body clear understanding of how trauma affects our systems (nerve and fascial) understand the connection between trauma and fascia. - Yin & healing sound therapy - including Solfeggio frequencies, Organ sounds, Mantras, Drums, gong bath & singing bowls. - DailyYin Flow practices integrating dynamic yoga & Qigong flows. - The training will be balanced with Yang time in the form of traditional Kung Fu Training, Sun salutation variations & more strenuous qi gong practices based on animal movement. - Practice & understand complementary Yang Yoga Asanas incorporating the Spirallic Dynamic & energetics of the Bandhas. balances and complements other styles of practice. • Enhanced self -confidence and skills for your teachings as you find your inner voice & your unique way of expressing yourself. to health and well being. • Embody the virtues of Yin harmony & balance. Openness, gentleness, kindness, generosity, unconditional Love, peace & compassion. • Give you the ability to structure individual and safe Yin Fascial yoga sequences using Myofascial adjustments & the confidence to feel & manipulate fascia & free restrictions in different areas of the body. • confidently create your own Yin yoga classes for therapeutic or energetic benefits. 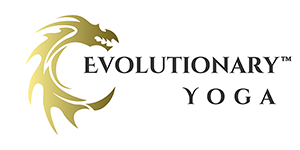 You will be given a 100 hour certificate in Evolutionary Yoga. You will be provided with Yoga Alliance Continued Professional Development certification on successful completion of the 100-hour training. The food is vegetarian or vegan with fresh, seasonal organic ingredients & sourced locally where possible The meals are healthy and well balanced cooked with lots of love by Selina who is a Professional Chef & Nutritional Therapist. With notice we can cater for allergies such as gluten and lactose intolerance. Full Board consists of fruit, yoghurt and a selection of teas before the first class of the day. Breakfast including hot and cold options will be served at 9am, a mouthwatering buffet lunch at 1pm, an afternoon snack such as healthy cake or energy balls to keep you going and a light dinner at 8pm. Herbal, green & black tea & coffee are available throughout the day. Alcohol is not available at the retreat for the duration of the training with the exception of medicinal tinctures and we kindly ask you not to bring any to the retreat centre as it will detract from the immersive benefits of the training.